Tom “Bull” Hill is a retired firefighter and one of the founding members of Orange County’s special operations team; Squad 1. After witnessing more than half of his squad brothers pass away from a host of physical diseases, Tom decided to honour a promise he made to two of the men. This promise meant addressing the fact that these firefighter’s families were left with nothing after they died, as Florida does not have a Cancer presumption law. Tom bought a backpack, adorned it with the names of the fallen from his department and those around him, and drove to Key West. He then preceded to walk 1000 miles, meeting hundreds of firefighters and grieving families along the way. 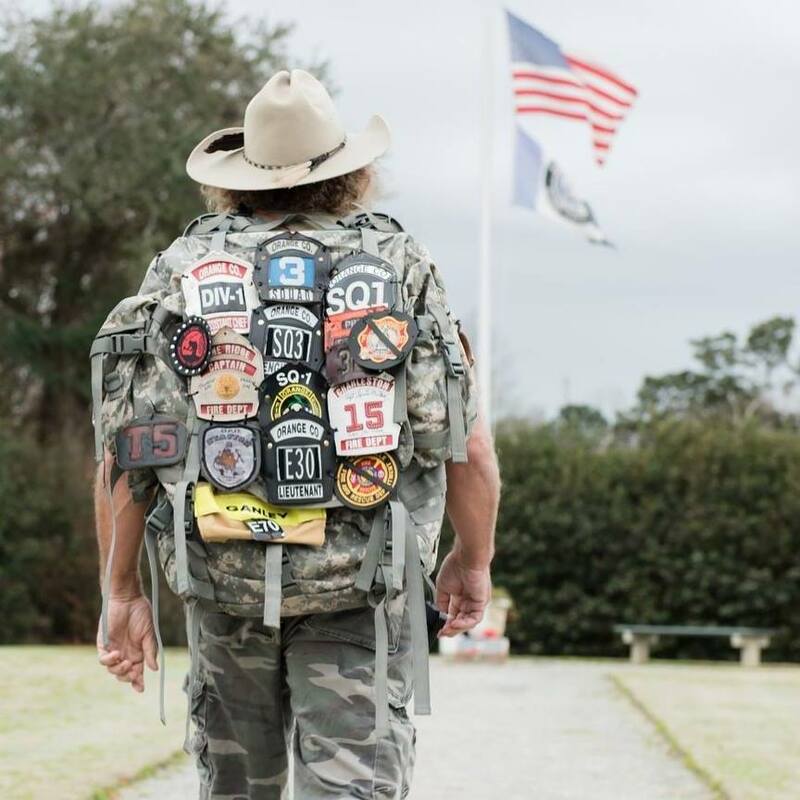 After this walk, Bull undertook a similar walk in Kentucky and is now getting ready to walk the West coast of Florida.